Amina : l’ex Femen aurait agressée une femme voilée ! This entry was posted in DE and tagged nachrichten on August 22, 2014 by FEMEN. This entry was posted in IT and tagged notizie on August 22, 2014 by FEMEN. This entry was posted in TR and tagged haber on August 22, 2014 by FEMEN. 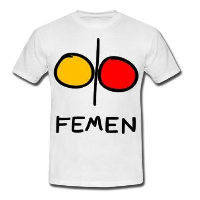 This entry was posted in ES and tagged noticias on August 22, 2014 by FEMEN.